A long and painful choice among the abundance of tissue behind. In dreams for a transparent haze on the window – the magic charm of tulle. 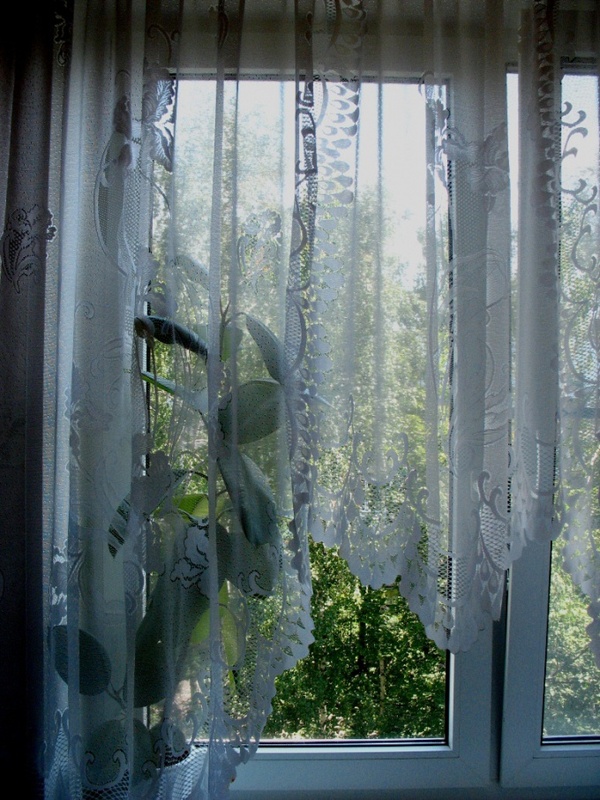 But the gorgeous lace fabric is not a Deposit of beautifully framed Windows. It is important to treat the tulle right. 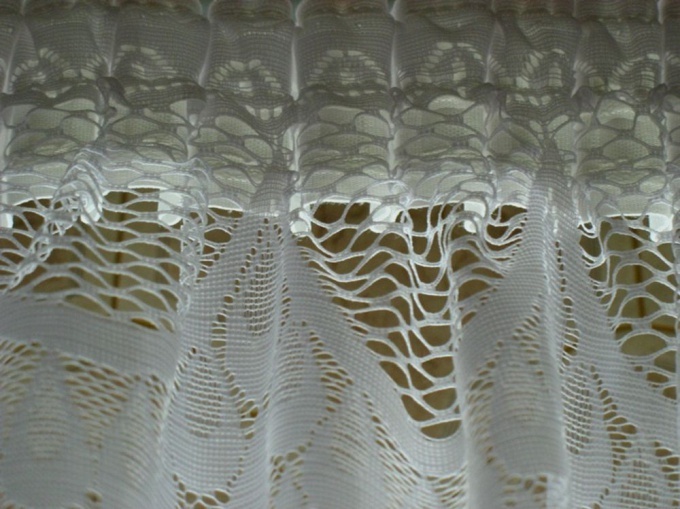 When machining the top edge of the tulle curtain with lace please note that the lace should be shorter than the width of the top fabric by approximately 3 cm on each side. The ends of the cord, which you can then pull the tulle into pleats must remain at least 10 cm Baste, then pristrochite curtain tape to the upper cut of the fabric, folding them right sides inward. Fold the braid inside out. Then smooth the resulting bend, shifting the seam down the wrong side of 1.5-2 cm. Baste together and stitch fabric by stitching in the seam or close to the seam that sewed curtain tape. Lay tulle on a flat surface, in order to avoid distortions of the fabric, and baste the lower edge of the ribbon to the material. Turn on the front side and check how exactly is the basting. You can then sew the hem. The top of your tulle ready!If you chose the option without using curtain tape, fabric treatment will be much easier. Just tuck the edge of the 2 × 2-2. 5 cm and prostrochite. However, such a view of the top of the tulle loses much in comparison with treated with a special curtain tape. To make the sides, tuck the edges on the wrong side of 2 x 1.5 cm Then keen and pristrochite. Be careful when sewing the seam at the top part of the cut. You need to close the ends of the curtain tape, hiding them in the side seam hem. The ends of the cord for tightening of the canvas remain outside. If your tulle has a pinking edge or otherwise handled at the bottom of the canvas, it does not require further processing.If the edge does not treated, then you need to tuck the fabric 2 times 3-5 cm and flash. The width of the stitching often depends on the design of the fabric. The larger the pattern or the thickness of the fabric, usually the wider the hem the bottom. Your tulle ready! Pull his curtain tape to the required size. Let it beautify your home and delight loved ones. In some cases, when you want to fix the shape of the tissue and not allow it to freely fly in the seam of the bottom hem of the tulle insert special weights. They can be purchased in sewing stores or make yourself. The weights are individual weights, which are attached evenly on the bottom of fabric or heavy cord designed for threading on the bottom of the garment's inside hem.